No more Sacrificing your family’s health for pricing! Welcome to "Live Green" ! Visualize a Costco-type membership paired with an Organic Marketplace! And now you can avoid the long lines and crowded grocery stores. (PLUS - Free Shipping on orders over $79)! The "Live Green Guarantee" makes this membership 100% RISK FREE! If you don't pay for your membership with the savings on your bill, we'll pay you the difference in shopping credits. "I just placed my first order of household products and toiletries through Live Green's online Green Marketplace! I ordered products from some of my favorite brands such as The Honest Company, Seventh Generation and Kiss My Face and my total was $84. I was curious so I also entered all of the same products into my Amazon account...and my total would have been $133! I am super impressed!" "I was introduced to Live Green by a dear friend of mine who shared with me I could save 20-50% off on the organic, healthy and natural products that I already buy at the store now. So far, I have saved $150 - $50 on my first order though the green store and well over $100 in the retail cash back portal. Not only have I saved money but I also received 4.5% cash back on my purchases, plus 10 trees were planted because of my new membership. Wow, I am impressed and very excited. I'll definitely share my Live Green experience with others. More people need to know about LG." 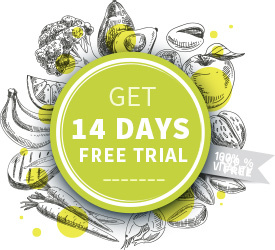 check for your personal 14-day free trial availability! 2017 © Offer Blueprint, LLC.